Ruffalo: "When Will Gov. Wolf act?" 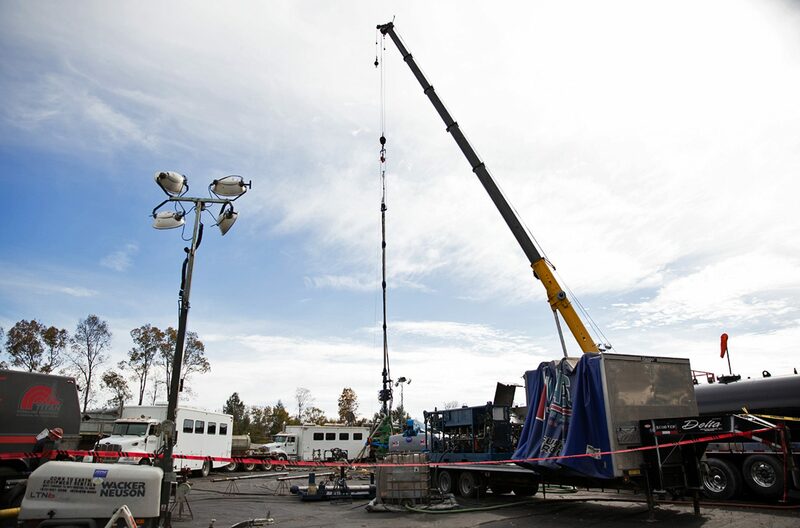 Sixteen compression generators power a Cabot Oil & Gas hydraulic fracturing “fracking” site along with two “frack vans” that monitor the operations. A coalition of anti-fracking groups says Gov. Tom Wolf should pay more attention to the health impacts of fracking, and that he’s “turned his back” on people who say they’ve suffered from the state’s natural gas industry. The group, calling itself Pennsylvania Fracking Health Impacts, planned a protest outside a Wolf fundraiser Wednesday in Philadelphia. Among its demands are a moratorium on fracking, a move the governor opposes. 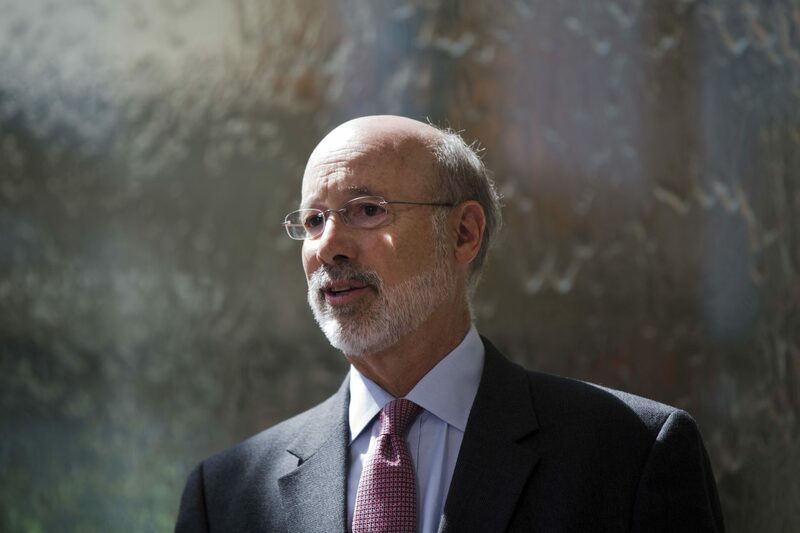 In a telephone call with reporters, representatives of the newly formed group took aim at Wolf’s record as governor. Among them was Mark Ruffalo, the ‘Incredible Hulk’ actor and anti-fracking activist. Ruffalo said he had high hopes for Wolf when he took office in 2015. Karen Feridun, of Berks Gas Truth, said Wolf has not paid enough attention to the health impacts of fracking, instead focusing on ways to impose a severance tax on the state’s gas industry. “Until the governor gives up the idea of a severance tax, and the Democratic Party gives up this idea of a severance tax, they’re going to continue to promote this industry, to the detriment of Pennsylvanians,” Feridun said. Julia Walsh, of the group Frack Action, said Wolf should meet people that have been harmed by fracking near their homes. “We want him to meet firsthand with these impacted people and travel to these areas and hear from them firsthand what has happened to them and the story they have in order for him to stand up for his constituents,” Walsh said. 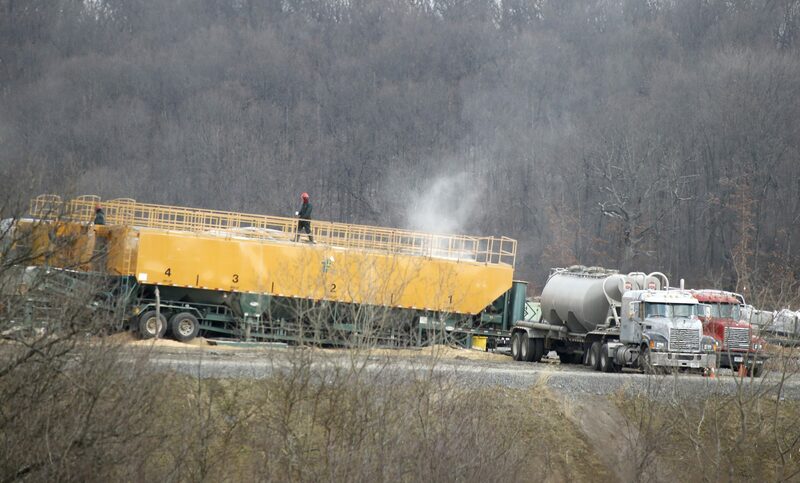 The state has identified over 300 cases in which oil and gas development has impacted a private water supply, and a statewide health registry has recorded over 200 complaints related to the Marcellus shale industry. In addition, Pennsylvania’s Department of Environmental Protection received 9,442 public complaints about environmental problems in areas where unconventional natural gas development occurred from 2004 to the end of November 2016, according to an investigation by the Pittsburgh-based watchdog Public Herald. Others suggested a medley of changes to state policy, including changes to non-disclosure agreements that would allow public health researchers greater access to information from those who say their health has been impacted by drilling, and more help for people whose water sources have been damaged by natural gas drilling activities. “Governor Wolf, his staff and our agencies have met with hundreds of stakeholders on all sides of these issues,” Abbott said. Under Wolf, the state created a public health registry for complaints from people who say they’ve had negative health impacts from Marcellus shale development. The registry has recorded 140 complaints, encompassing impacts on 219 people. The complaints date back to 2011. Most came from Washington County (37), followed by Susquehanna (26) and Bradford (21) counties. The most common complaints are for respiratory, neurological, and psychological symptoms. Currently, 52,000 people in Pennsylvania work in fracking and related industries, according to the state’s Department of Labor and Industry. Since 2011, the industry has contributed more than $1.2 billion in local impact fees to the state, according to the Pennsylvania Utility Commission, and production from the Marcellus shale has greatly added to the U.S. supply of natural gas. Fracking can contribute to ambient air pollution through emissions at wells, and extensive truck traffic is needed to bring materials and equipment to well pads. And for years, people near well pads have complained about health impacts. Recent National Institutes of Health-funded studies show increased rates of hospitalization, asthma, premature birth and headaches near fracking sites, and a recent study found mothers living near fracking sites had a higher incidence of low-birth weight babies.